Welcome back! This week, we’re featuring some great books to take you beyond your apartment home here in Menomonee Falls, WI. Whether you read them for a book club or on your own, we think these are great additions to your reading list. The following titles and descriptions can be found by visiting Goodreads.com. “At the age of thirty-six, on the verge of completing a decade’s training as a neurosurgeon, Paul Kalanithi was diagnosed with inoperable lung cancer. One day he was a doctor treating the dying, the next he was a patient struggling to live. “When Breath Becomes Air chronicles Kalanithi’s transformation from a medical student asking what makes a virtuous and meaningful life into a neurosurgeon working in the core of human identity – the brain – and finally into a patient and a new father…. “Sylvia Plath’s shocking, realistic, and intensely emotional novel about a woman falling into the grip of insanity. “A hilarious and affecting essay collection about race, gender, and pop culture from celebrated stand-up comedian and WNYC podcaster Phoebe Robinson…. What are your best book recommendations? Share your reviews with us in the comments. 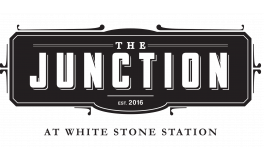 Thanks for visiting The Junction Blog!